A bigger version is here and much more readable. I think it is also possible to read too much into it. There are still stores in these industries that are surviving. But the lesson is: if your product can be made digital, then it gets harder to justify not buying it online. Even if your product cannot be made digital, if the supply chain can be shrunk to an acceptible level, you may also be in trouble. refers to the International Exhibition of Modern Art that was organized by the Association of American Painters and Sculptors and opened in New York City’s 69th Regiment Armory, … and became a legendary watershed date in the history of American art, introducing astonished New Yorkers, accustomed to realistic art, to modern art. The show served as a catalyst for American artists, who became more independent and created their own “artistic language”. 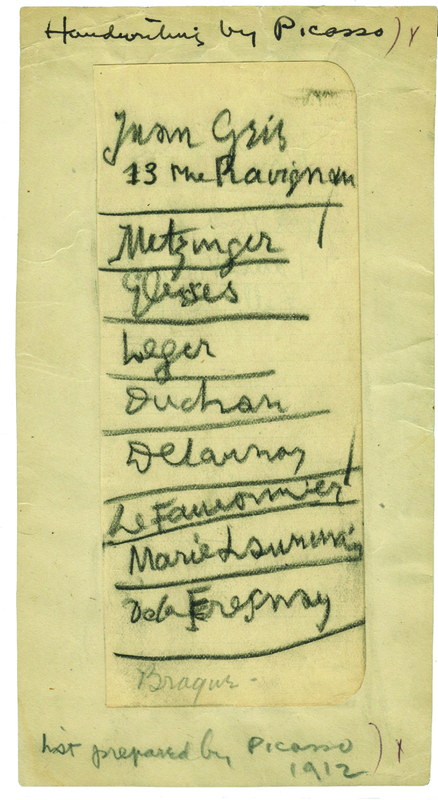 Of course it is a great list of talent, including Braque, who seems to have been added as an afterthought. Found at the site, Brain Pickings, that has some must see Lists, To-dos and Illustrated Inventories of Great Artists (though the image courtesy of the Smithsonian Institution’s Archives of American Art; copyright F+W Media Inc. 2011). More on the Armory Show here. It is a remarkable piece of American cultural history. Is the new media model: copying, plagiarizing, rewriting and generally ripping off other people (like @nyscout)? and here (Why Is There a WWI Biplane On The Roof of This NYC Skyscraper?). The author of the Gizmodo story, @kellyhodgkins, tweeted: “Yes, it was your story and idea. And yes it was copy-edited by me for Giz. But I read your story and wrote my own version.”. Check out the three stories and judge for yourself. My belief is that this is going on all over the place, not just with these authors or Gawker media. In the same day I saw a similar thing happening on Huffington Post. It doesn’t excuse it, but I suspect authors from these sites are under pressure to turn in alot of material and end up resorting to this form of rewriting others work and most of the time no one even notices. This time, they did. 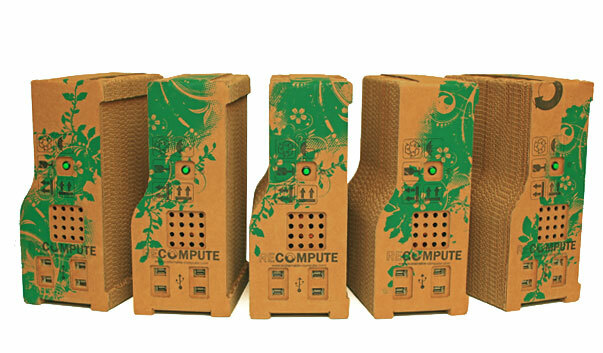 Recompute goes to considerable lengths to make a computer that is as recyclable as they can make it. (Yes, those babies are cardboard). They may not look sleek, but they are state of the art personal computers and they are highly customizable. If you are concerned about e-waste and want to do something about it, you should really give them a look. Go to their site and read more about them. I am not endorsing them and I haven’t seen one in action, but I am always happy to see IT companies – including the one I work for – striving to make computers that waste less resources. Rest in Peace, Amy Winehouse. It’s a good thing this was grabbed when it was. If you go to the site now, you get a one page site that translate.google.com says means “be right back”. It will be interesting to see if his writing is still there when that site comes back online. It’s worthwhile that Doug Saunders (from the Globe and Mail) and his friends were able to capture this and translate it like they did. I could summarize what his thinking is like, but it won’t take too many pages of reading to come to your own conclusions. Why did the Queen sit for a portrait painted by Lucian Freud? The question I have always asked is, why did the Queen sit for it? It was done in 2001, by which time Freud’s approach to subjects was well known. Surely the Queen knew it would not be flattering. While some critics approved, many hated it (How Lucian Freud’s portrait of the Queen divided critics – UK Telegraph). After it was painted, she did not comment on it. I believe the Queen wanted Freud to paint her because he was one of the few great living painters who could do a portrait of her, regardless of how flattering it was. It would be a painting that would last for centuries and it would be discussed and viewed, long after the many millions of images of her were lost. It was a way to establish her image in the way that it would last. It was a way of being associated with something great and long lasting and artistic. That is why I think she sat for Freud. Lucian Freud died this week. R.I.P.